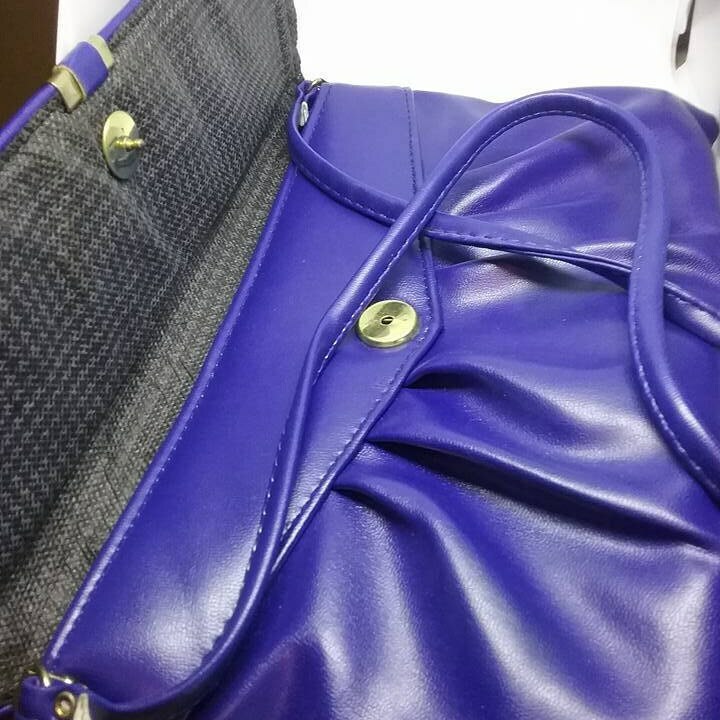 Vintage blue purse. 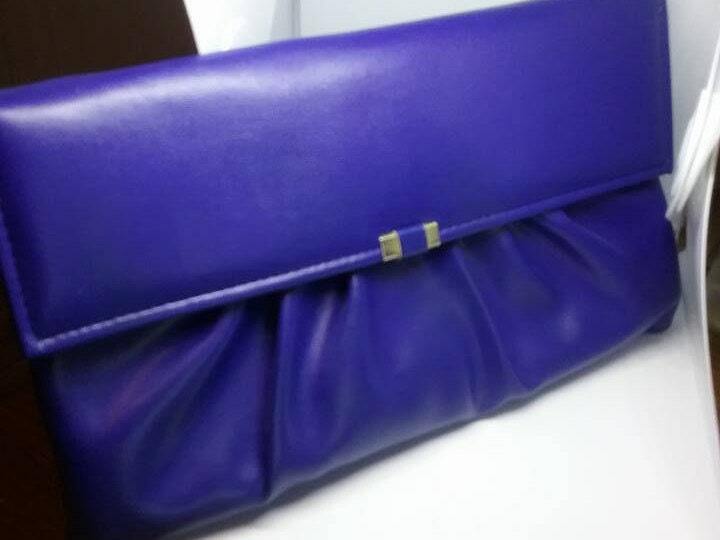 Royal blue vintage 70/80s vinyl clutch or over-the-shoulder purse. 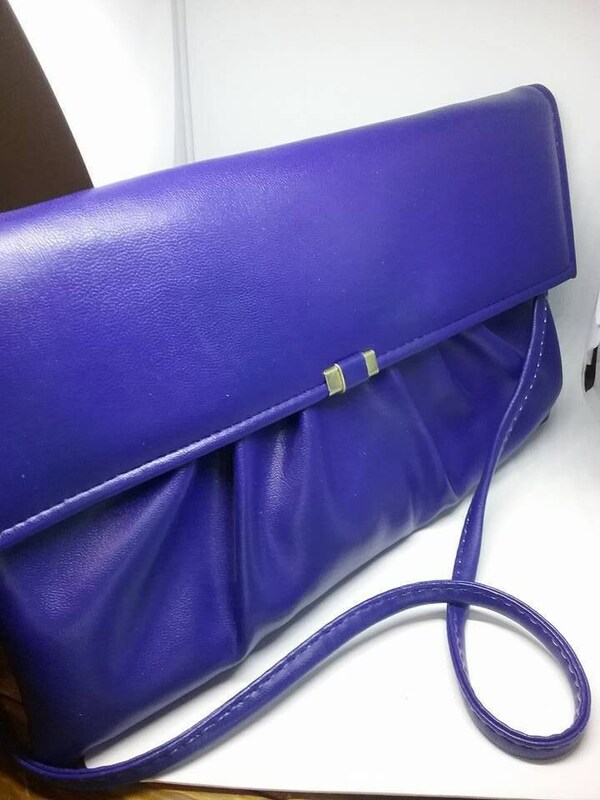 Blue shoulder strap can remain in bag for more of a clutch style. Very clean and in excellent vintage condition. 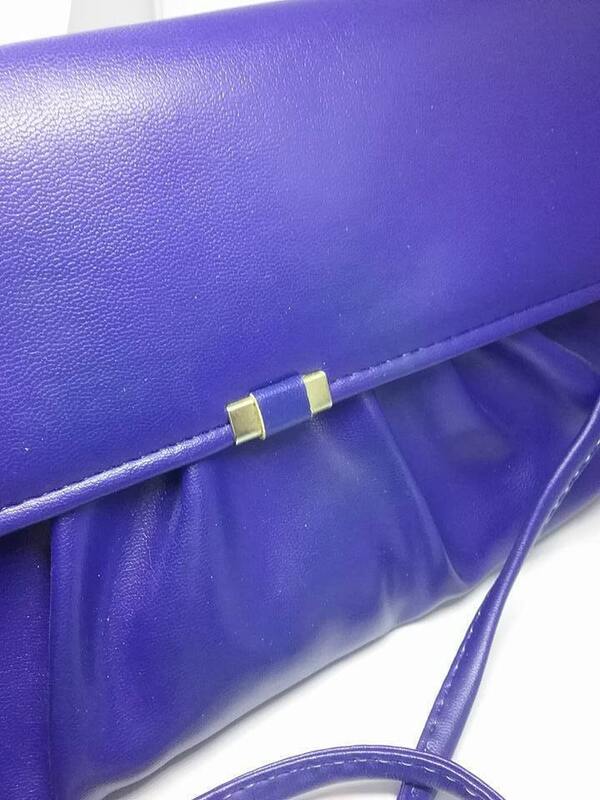 Tight clip closure is in great condition. The inside fabric is grey/black checker pattern that is very easy to maintain. 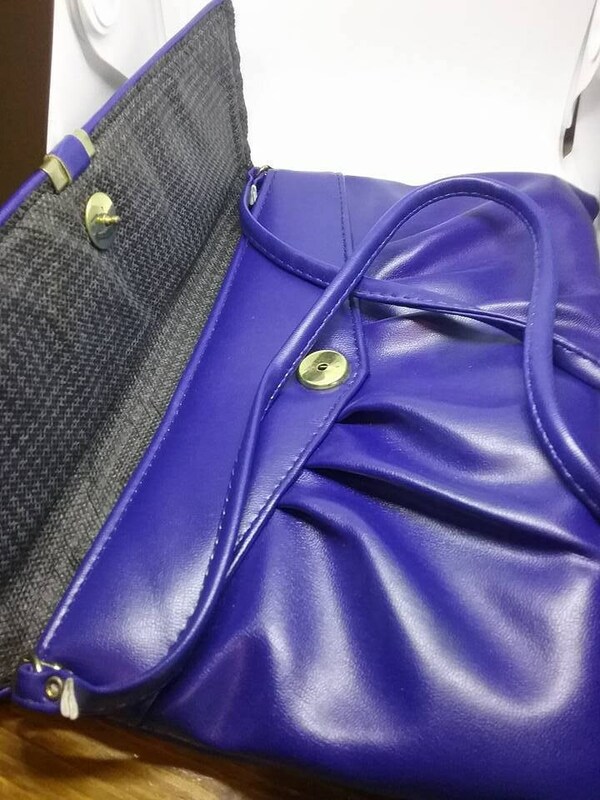 11.25"w , and 6.75 h. The tucks in the front show how soft this purse it. Let your purse steal the show.